Physical strength. Mental strength. Attitudinal strength. Behavioral strength. All four strengths are crucial components of a paddling team. To make the boat the strongest it can possibly be, each person should identify (with the help of the coaching group and captains) what their two preferred strengths are and cultivate those in and out of the boat. We tend to focus on physical strength because that seems intuitive to a sport, but strengths are not only physical in nature, they are also mental, attitudinal, and behavioral. Physical strength is measured as “strength-to-weight ratio”. While weight matters for distribution of paddlers in the boat, neither smaller nor larger is always preferable. Strength-to-weight ratio measures your efficacy or ability to achieve an established goal. The goal is to move “(you+boat)+N”. You: your weight; Boat: a fraction (1/10, 1/20) of the distribution of the hull (weight* current* buoyancy coefficient of the water); N: “paddler value added” is the amount of weight you can move over and above “you+boat”. All paddlers should work to increase their N.
Mental strength is the ability to force your body to obey your will to move. An athlete with mental strength can “dig inside themselves” to find the reserve to continue. This is easy to identify in endurance athletes. In sprint athletes, it is harder to see. Your mental strength is your ability to make your body tolerate work at the anaerobic threshold (the anaerobic threshold is when your body is not able to use oxygen in the fuel cycle, thus building lactic acid). When your muscles burn and your breathing is shallow, you are at the threshold. Mental strength is being able to “manage the edge of suffering” or managing the threshold. 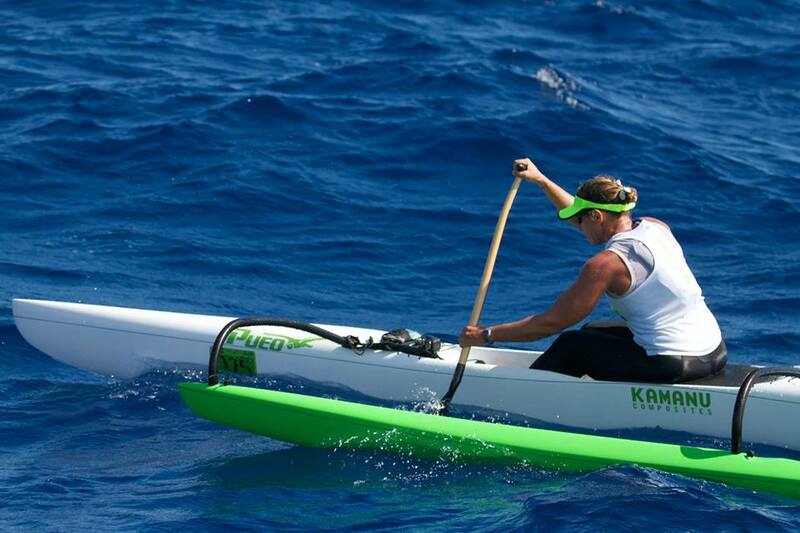 All paddlers should work to increase their ability to work at the anaerobic threshold for longer. Behavioral strength is the ability to resist in-boat and out-of-boat temptations in order to achieve a common goal. An example of behavioral strength is resisting the urge to chatter during a practice. If your words do not serve to help yourself or others focus on these tasks, then reserve them until post practice. Focus your mind on the task of learning and working together. Concentrate on the areas of your own technique that you know you need to work on rather than engaging in idle chit-chat that is not productive. Other examples of behavioral strength are choosing to go to the gym, choosing to eat a healthy meal, you get the idea. Make sacrifices to help you to achieve the goals you have as part of the team. Many aspire to make the race boat. It is time to question if you are making choices that will help you achieve that goal. Everyone must give a little on their own in order to get a lot together. Each of these four strengths is needed in a team. Each paddler has each of these in more or less quantities. Identify your strengths and cultivate them. Bring others up by giving them your special strengths to fill in where they are weaker. great words of wisdom. Just the thing we need to hear before Nationals! I really enjoyed reading this article! Keep more coming! Hi. Thanks so much for your 4 attributes of a good paddler. Reading through it gave me much to consider and helped me work through some recent issues on our team. Nicely put. I especially like how the contribution of strength is expressed in the equation: you + boat + N!!!!! Nice write up! Well said!! Thoroughly enjoyed your very insightful perspectives. Thank you for sharing! I just added a contact page on the paddlechica.com site. Thanks for the suggestion! I agree with everything that has been said, I have been an Ultra Marathon runner over the years, and training most days, you have to train if you want to make it, either individual or team, otherwise give up. Such a great article – thank you! I recently became Boat Captain for a small-boat team and will take a lot from your wise words! Thank you! I’m glad you enjoy it and I hope it will help your team. Congrats on becoming Boat Captain and best of luck.